There is a discussion going on in our country about race. It’s been ongoing for decades. In fact, it’s been going on ever since people discovered they could exploit the notion of race for any number of purposes, primarily wealth and power. Race — the fact that one group looks different than another– has been and remains a tool of exploitation. And the greater the stakes, the greater the propensity to exploit supposed differences in order to keep and control resources, be they money or land or water. Today we hear people in America identify as White or Hispanic or African-American or Asian or whatever. Others prefer to identify by their ethnicity, e.g. Irish, Norwegian, Kenyan, Korean. Still others complain when their race or ethnicity is not acknowledged, while others complain when it is. The list goes on. This predilection for drawing lines between and creating classifications of people seems inborn in us, and permeates all aspects of human culture. Yet no matter how much power one person or one group may acquire through racial identity and classifications, lurking behind that power is the knowledge that power, however great it may appear, is fleeting and capricious. Here today, gone tomorrow. The division of humans into various races is wholly artificial. The only meaningful category that sets one person apart from another is gender. We are all descended from people who lived in Africa before they began to wander over the globe ~70,000 years ago. Yet after that journey was finished, our DNA remains essentially identical. Whatever differences there may be in our DNA, they are miniscule. We are one species: the human race. Our DNA is ~98% identical to that of chimpanzees, and look at the differences we have with our simian cousins. So whatever differences in our DNA there may be between us, they are really small. When one views the spread of humans across the earth, we see that some people went here and others went there, settling into isolated homogeneous groups. They tended to interbreed among themselves and remained isolated. Similar skin, hair and eye color and other surface adaptions developed. Over time people understandably identified with the familiar – what they saw each day –and over time began to think of themselves as unique. But beneath surface appearances, they were no different than their long distant cousins scattered around the world. There were other groups related to us who moved out of Africa well before our ancestors did. Their descendants have either died out or have now, through interbreeding, melded into the present-day human population. I am an example of this phenomena, as are many others, because we carry traces of both Neanderthal and Denisovan DNA. But in the end, we are like every other person on earth today, a member of one race, the human race. Today, with the increased ease and speed of travel, people are encountering other people who are different than them. But the differences are on the surface. 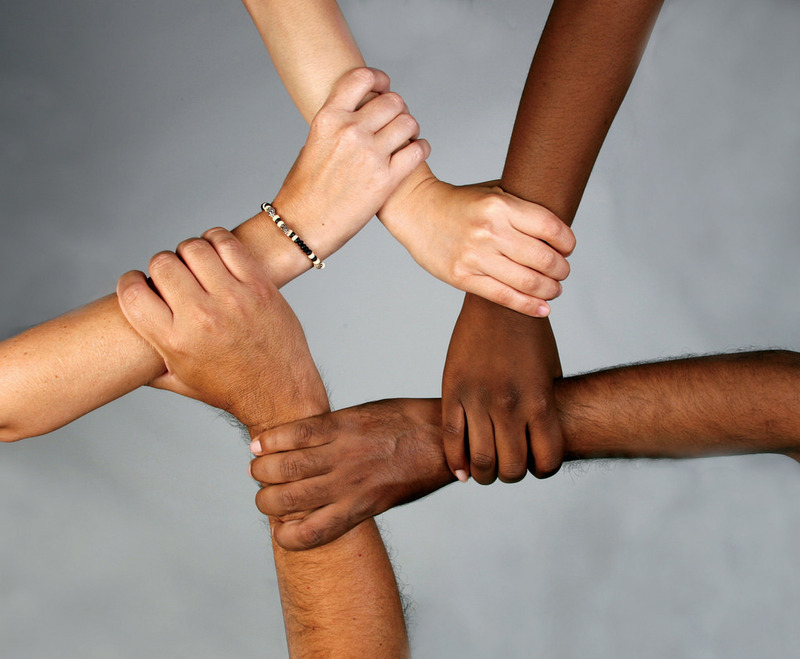 At our core, we are all members of one race, the human race. And as we intermarry across the artificial boundaries of race, we will, if we haven’t yet blown ourselves up, once again come to have more or less the same physical features, just as our ancestors in Africa looked more or less alike some 70,000 years ago. None of us reading this today will be around to see it happen, but that’s what’s going to happen. Instead of identifying by artificial notions of race or ethnicity, how about we think of ourselves and others as people or persons. If we live in the US, we’re Americans, and if we live in California, we’re also Californians. But we’re also Republicans and Democrats and Greens and Libertarians. We’re rich and poor, retired and working, smart and dumb, tall and short, fat and thin. But more importantly, we’re in-between rich and poor, fat and thin, smart or dumb, tall and short. And perhaps most importantly, we’re between birth and death. We come in this world without having been asked, and leave long before we wish. In between our birth and our death, between our coming in and our going out, we must endure the what Montaigne called our human condition, that state of imperfection that is our inheritance from our ancestors. In the meantime, why not think of ourselves as human beings and as people. After all, that’s what we are.